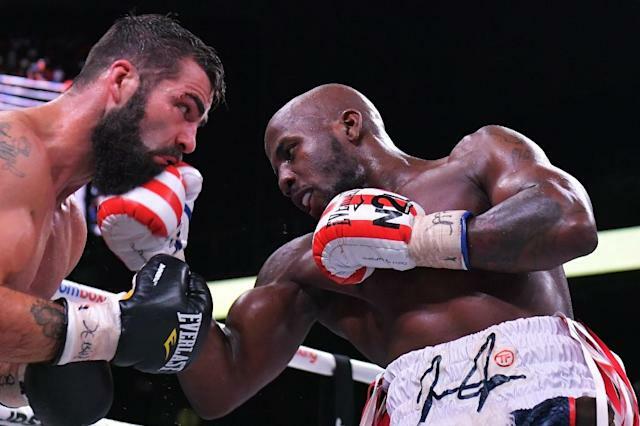 Los Angeles (AFP) - Tevin Farmer defended his IBF super featherweight title for the third time with a one-sided unanimous decision over Irish challenger Jono Carroll on Friday in Philadelphia. Farmer improved his record to 29-4-1 by winning the battle of attrition between the two southpaws at the Liacouras Center at Temple University. Judges Dave Braslow and Sylvain Leblanc both had it 117-111 for Farmer, while judge John Poturaj had it 117-110 for Farmer. Carroll dropped to 16-1-1 with three knockouts. Farmer, who hasn't lost in seven years, extended his winning streak 22-straight fights. Carroll was in danger of being knocked down at the end of the 11th round when Farmer wobbled him by slamming a right hook into his chin. Farmer closed the 12th with a barrage of heavy shots, before referee Gary Rosato separated the two at the final bell.